The year 2010 is known in my family as the year Everything (no really everything with a capital “E” Everything, not just a few things or minor annoyances, but Everything, I’m talking major life altering events types of things everything, not some imagined emo kind of everything , just a couple of major things, or even I’m way to prone to hyperbole everything, but everything Everything) changed. This is (part) of the story of one of those things. We both knew that something was a little . . . wrong with Chrisie, but we didn’t know what it was at first. Eventually we found out. It had a much more clinical and professional sounding diagnosis, but we just called it her “thyroid problem.” While it only physically affected her, the rest of the family had to deal with the symptoms. Some were easier to handle than others. It wasn’t too difficult to handle the memory lapses or the temperature changes. The sudden and massive mood swings were . . . more difficult to handle. Even with all that, I think the most difficult part to deal with was that Chrisie had a built-in excuse for just about any situation. And she employed it often. One night as we sat on the couch watching TV, she asked me to go to the kitchen to get her something. “You mean from the kitchen you literally just walked back from?” I asked. She seemed mollified for the moment at least. Later, they came in and gave Chrisie “something to help her relax.” A little while after that, she asked me to call her mom for her. “Yes, this one,” she said as she handed me her phone. She gave me that look. I called her mom. “No, no, she’s fine. I called because Chrisie wanted me to call you instead of her.” I looked at Chrisie and this seemed the correct answer to the question she couldn’t hear her mom ask. “Yes, I also thought it would be easier for her to just call you herself, but she disagrees and, uh . . .” Chrisie was telling me something else to say. I tried to say it just as she wanted me to. I failed. “You did that on purpose. Why can’t you take you take this seriously?” Chrisie asked as she wrested the phone from me. “What are you, five? Stop proving my point.” She then talked with her mom for a while. When she hung up she fixed me with a withering gaze. “Have you met me?” That’s when the fire alarm went off. The funny thing about fire alarms is that they usually mean you should leave or something, but that’s a little complicated when your wife is already on an IV with pain medication dripping in. Then we heard an announcement over the loudspeaker. It did not tell is this was a drill. “Code Pink, all stations, code pink,” called the disembodied voice. “What does that mean?” Chrisie asked. “They can’t forget us. We filled out forms.” The initial blare of the fire alarm subsided, but the flashing lights stayed on. Torn between staying with my wife and checking things out, I finally gave in. “I’ll go see if I can find someone,” I said. I stuck my head outside the door. No one was around. I didn’t see anyone. Just and empty hall and an unoccupied desk lit by the strobe of the fire alarm. Coincidentally, that was the moment I realized I watched too many horror movies. “There’s no one out there,” I said as I closed the door. I then grabbed my laptop. “I’m just playing a game as the world burns,” I said. While not a fire, this worried us more. We talked about then possibilities incessantly until the alarms stopped. There might have been an “all clear” but if so, we missed it. Finally, a nurse showed up. Nurses came and went. Chrisie’s mom arrived. We told her about the Code Pink drill and our somewhat crazy morning. I shared these details with enthusiasm. “He’s not taking this seriously,” Chrisie told her mom. All too soon, after multiple delays, it was time for her to go into surgery. “Why can’t you take this seriously?” she asked. I let her have the last word, but said, “I really am,” quietly to myself after she was out of sight. Chrisie’s parents, my parents, and two good friends sat with me in the waiting room. They helped distract me from thinking about my lovely wife lying on a cold operating table with someone’s hands inside her neck which he had cut open. They were not completely successful. I watched as different surgeons came out and spoke to families sharing the waiting room. I longed for the relief I saw on their faces as their Doctor told them their loved one’s surgery went well. I got on Facebook to take my mind off Chrisie’s surgery where I read all the messages from friends about Chrisie’s surgery. I tried not to watch the clock. “Leighton Brown, please come to the desk. 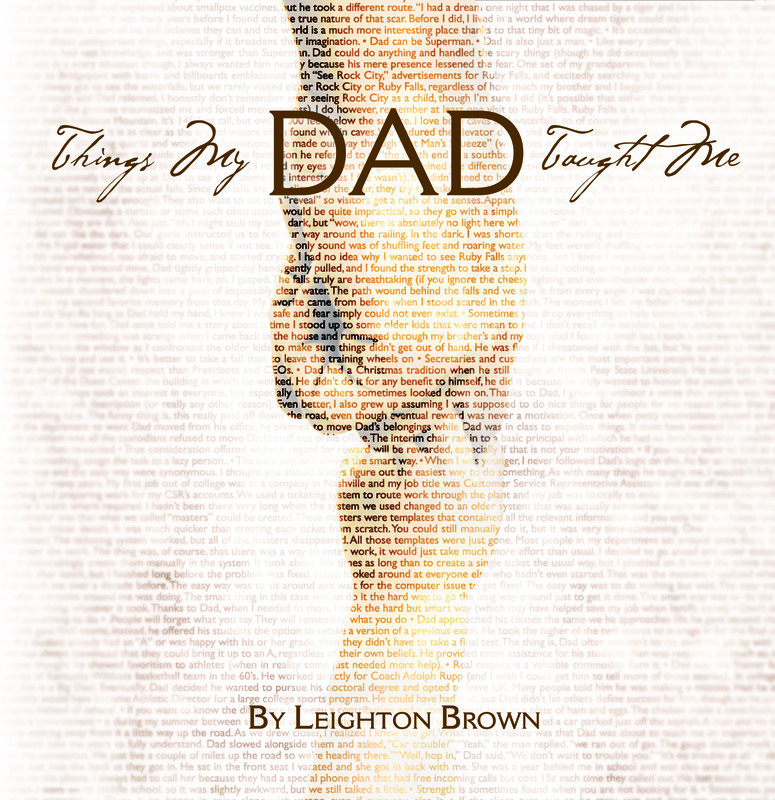 Leighton Brown, to the desk.” I looked up at the speakers in the ceiling for a moment. Those gathered for Chrisie looked at me quizzically. “That’s a little odd,” I said. “I need to go in that room where no one can see us?”My hands trembled as she nodded. I thought about how the other families got the word about their loved ones out in the open where anyone could see. I thought about why they might need me secluded and out of view. I tried to stop thinking about that. I failed. I made a stop by “our” spot in the waiting room. “What’s going on?” more than one asked. “They want me to go back into one of the consultation rooms,” I mumbled. “Do you want me to come with you?” Chrisie’s mom asked. Her eyes held concern for her daughter and for me. Had I been thinking clearly, I would have gratefully accepted. In my daze however, I said, “No, no. I’ll go. I got this.” I most certainly did not. I entered the consolation room and sat down. Trepidation sat beside me and repeatedly punched my chest. It hurt. I tried calming myself, but Trepidation whispered horrible things in my ear. Finally, the surgeon opened a separate door. I held my breath. “Chrisie is resting now,” he said and I started breathing. “I removed half her thyroid . . .” I heard nothing else. I stepped lightly as I walked back to family and friends to share the news. There was confusion since I didn’t;t listen well to the doctor, but we eventually got the full story after some more waiting and a couple of trips to the desk. Much later, after Chrisie’s mom took me to the cafe and made me eat, Chrisie came out of Recovery and got a room. Her visitors eventually left and it was just the two of us. (Well, until she got a roommate, but that’s another story.) Once things really calmed down and she was drifting off to sleep, tears I had been holding back started falling. “There was a moment I thought something bad had happened, that I might lose you,” I said. “Yeah. I love you.” But she was already asleep. In the dimness, with the quiet beeping of monitors, I could finally admit all the fears I spent the day trying to joke away. I couldn’t take it seriously before because to do so would make too much to bear. I was serious now, but only because the laughter hadn’t stopped. This entry was posted in Stories and tagged hospital, love, marriage, operations, surgery, waiting. Bookmark the permalink.